It’s pretty obvious by now that one of my favorite things about traveling is trying different foods at the destinations. So you can imagine my dismay when I was researching Costa Rica and travel guide after travel guide listed the country’s food as nothing more than “meh.” Boy, am I glad I didn’t listen to the so-called experts. The guides all said that Costa Ricans — or Ticos, as they call themselves — subsist on rice and beans, and beans and rice, and rice and beans, and maybe some grilled chicken. I could see where that could get a little boring day in and day out, but heck, I like those things. I eat rice, beans, and chicken at least once a week. Several writers beat around the bush a bit, but one came right out and called the cuisine “uninspired.” Using such a word to describe a developing country’s native foods in the same way one would describe a floundering five-star restaurant in Manhattan undoubtedly reeks of pretentiousness. Food is a significant part of the culture for Ticos and they really take pride in preparing the fresh dishes and presenting them to visitors. 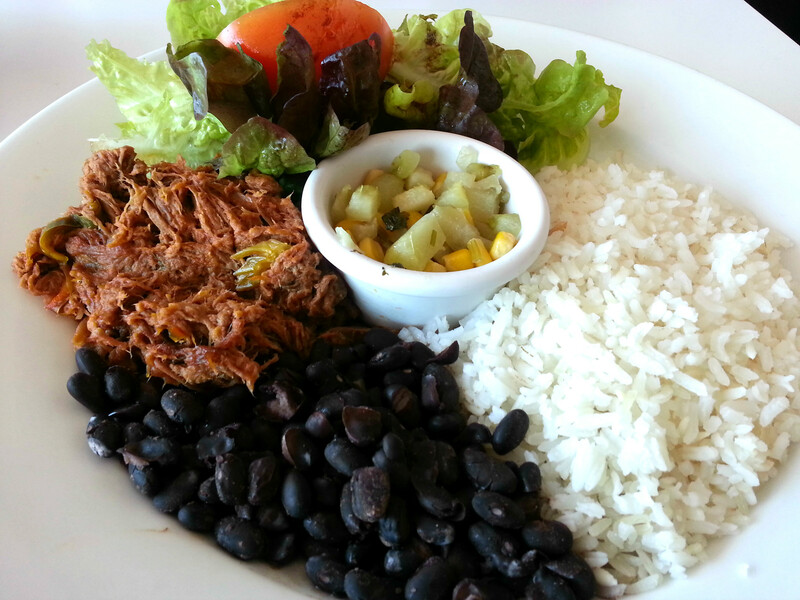 ANYway, I did indeed have a lot of rice and beans in Costa Rica, and thoroughly enjoyed it. Part of the adventure is tasting how different chefs make the staples and discovering how other foods complement the rice and beans. For instance, this tangy shredded beef with a side of corn and squash. Yum. Sometimes delicious simplicity vastly outperforms attempts at innovative gourmet dishes like beet foam or kale ice cream. Two of my favorite local food discoveries came during breakfast. The first is a ball of yucca wrapped around meat, drizzled with a spicy-sweet chili sauce that gave it an Asian flair. These bites are rather heavy, but incredibly tasty. You can see one in the bottom left, with Spanish tortilla to its immediate left. At the bottom right of the plate is something that looks like a pancake, but it’s so much better. Meet my new obsession: corn chorreadas. All they consist of is fresh corn cut off the cob, milk or water, and maybe a dash of garlic or salt. I could not stop eating these. Every day I piled the sweet corn goodness on my plate and ate until plump. I need to try making these at home… and you should too! Again, super easy! With the Pacific Ocean on one coast and the Atlantic Ocean on the other, Costa Rica has a lot of fish and seafood dishes. Ceviche and mahi mahi (or dorado) were two of the most prevalent dishes I saw. Buyer beware — not all ceviche is create equal. If you see some person peddling the raw fish dish out of a cart on the side of the road in the 90-degree heat, I would strongly recommend reconsidering. I chose to eat ceviche in a clean restaurant, and it was fabulous. 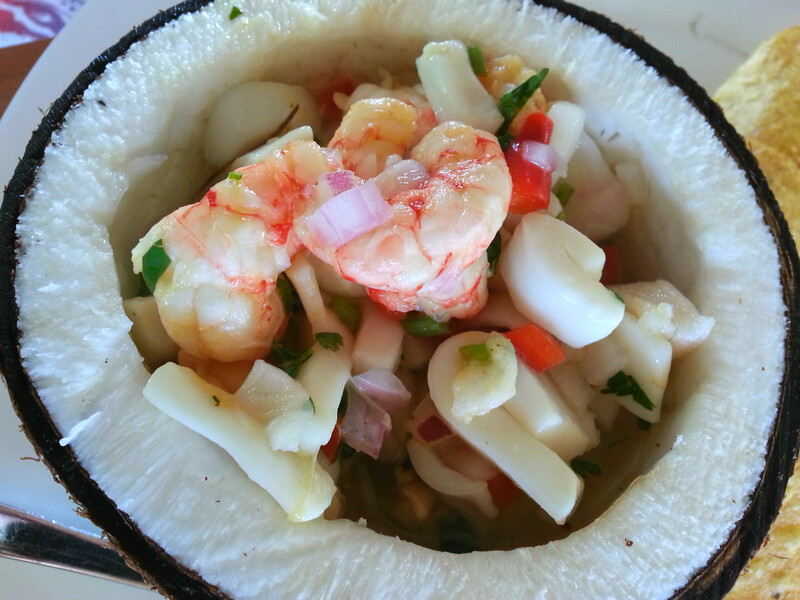 Shrimp, fish, mussels, and squid in a light citrus-mango sauce… and it came in a coconut! You better believe I ate most of that coconut meat, too. 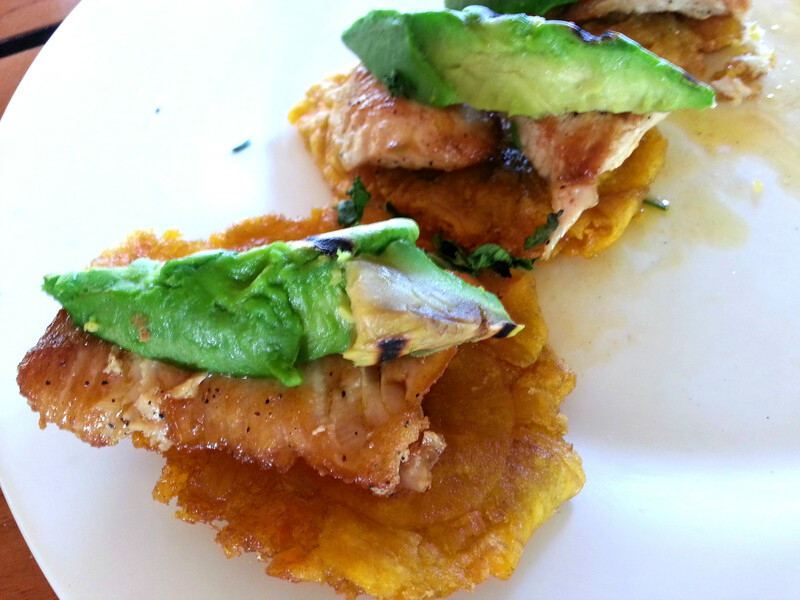 And check out this delicious mahi with avocado, on top of plantain and corn cakes. This certainly can’t be called “uninventive”!! In the breakfast photo above, also note the mini bananas. I eat at least one banana every single day, and my intake skyrocketed in Costa Rica. It was fantastic to be in a country where bananas grow everywhere and constitute one of the main exports. 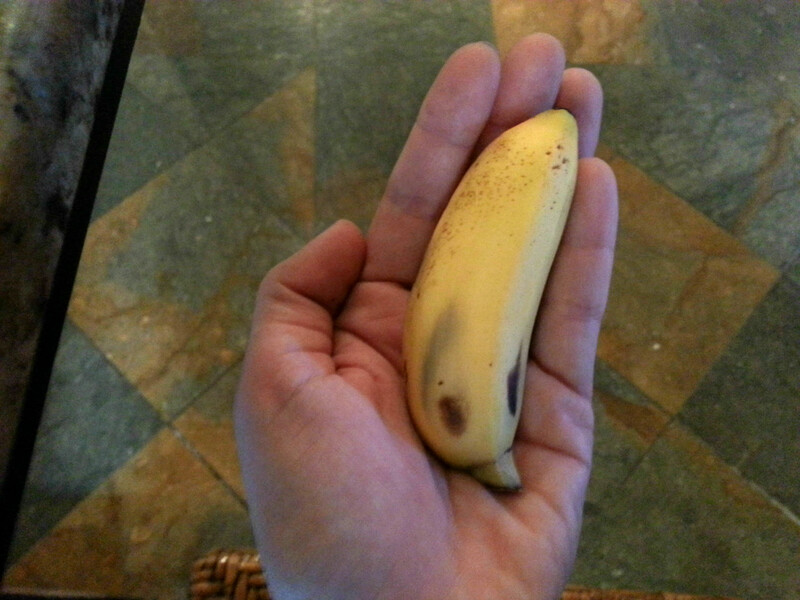 I couldn’t get enough of the cute, little bananas, which were really convenient for bringing on hikes. In addition to bananas, Costa Rica has lots of other fresh fruits growing freely, so I scarfed down all I could get my hands on. 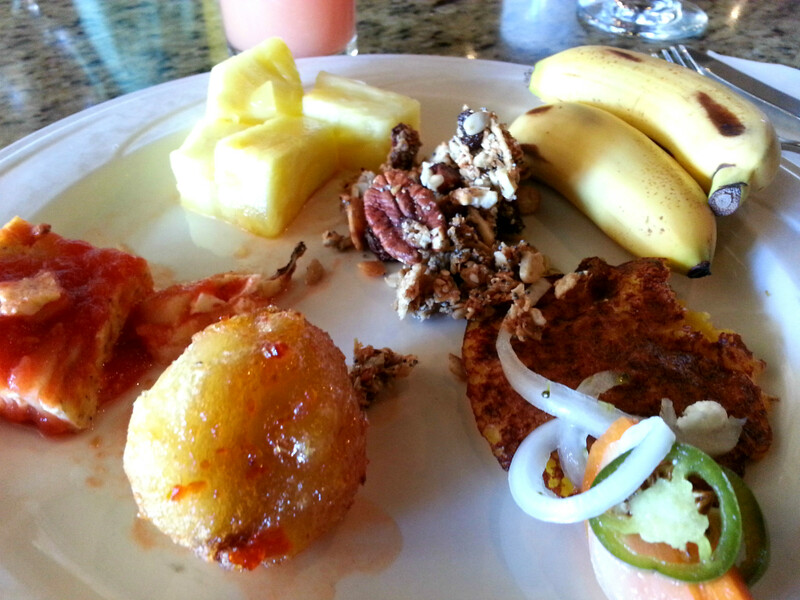 Papaya, starfruit, a couple types of mangoes, and various things I had trouble pronouncing. I didn’t expect watermelon to be such a big crop, but there are dozens of watermelon stands on the side of the road throughout the country. A new fruit I learned about is the cas (rhymes with the Spanish word “mas”). A waiter who spoke very broken English was telling me about it, and I thought perhaps he meant “cassava” or “cassis” so I just took in the rest of the information and decided to investigate the name. 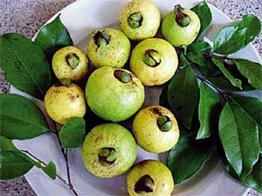 But he was right, it really is called cas, and it’s a type of guava. Cas often is blended into a refreshing juice drink with a little sweetener added. 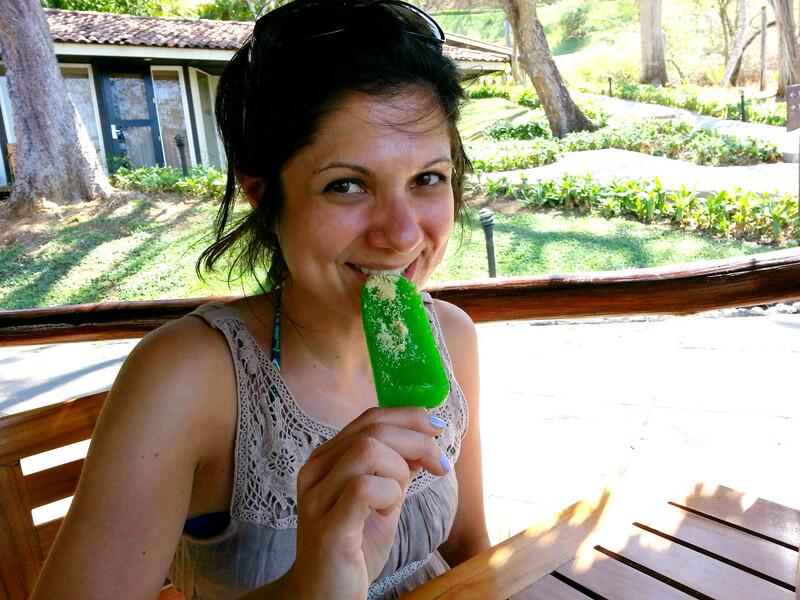 Take that drink, freeze it into a fruit pop, and that’s what I got to try! It really is light and refreshing, especially in the afternoon heat. If you travel to Costa Rica, ignore all the snobby naysayers who turn up their noses at the local cuisine. 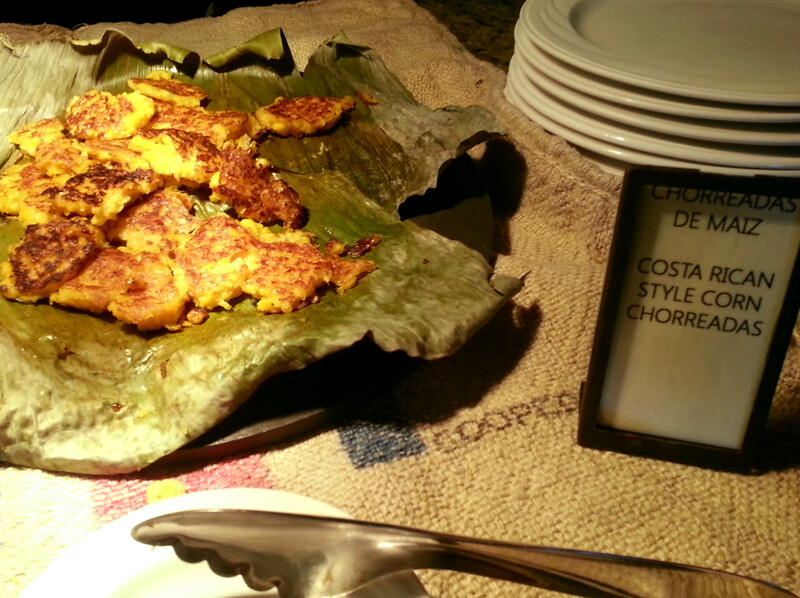 Take the time to explore the delicious tropical and Central American flavors in the simple foods. You may find, as I did, that the country has far more to offer than rice and beans, and beans and rice… although there’s plenty of that if you want it. Stay hungry, my friends! Thanks MIL! But if you ask my mom, she’d say my palate wasn’t always quite so adventurous. I used to hate things I now absolutely love, like seafood, cheese, eggs and lamb. Luckily I make myself retry foods I don’t think I like because sometimes tastes change. I still can’t get behind liver, though. Blech!